My mom bought this jug for me – i think its gorgeous. It looks even better when its got some daffodils or tulips in it. 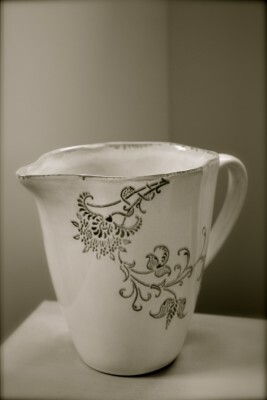 Used it for a bit of still life photography practice tonight & then just edited in iPhoto on the Mac.